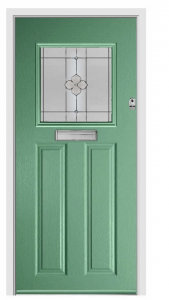 Our door design include contemporary and traditional designs which are manufactured to a high quality in Britain using state of the art technology, combining toughness and durability with style. Every purchase comes with unbeatable customer support, aftercare and a comprehensive guarantee. The Regency range delivers high performance and outstanding good looks, making it the first choice for the discerning customer. FlushGlaze our patented process hides unsightly gaskets and vulnerable beading. Energy Efficient High performance core and low emissivity double-glazed glass for high thermal efficiency. Durability our patented ColourFusion technology maintains your door’s appearance for longer. Weather-proofing Triple weather sealed frame system protects your home. Stylish protection our application of the EdgeGuard process provides added protection. Our 30-minute, GRP solid-core fire doors are designed to meet the specific, rigorous demands of public sector housing. The Firesafe range of GRP-faced composite doors offers a wide range of attractive, maintenance free, glass reinforced doorsets. Bearing the Kitemark (PAS 23 and 24), these doors achieve a 30-minute fire rating in accordance with BS 476 parts 22 and 31:1 and are smoke tested to BS476 part 31.1. 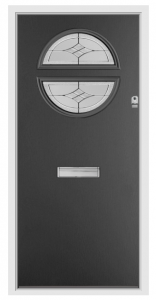 Firesafe doors also meet the mandatory thermal performance requirements of Approved Document L.
This range is supplied fully assembled and ready to install. Style options include shed and store doors with a traditional ledged and brace appearance. You can also mix and match the doors with fire-rated top lights and glazed or solid side screens in PVCu. The vast range of Fortrezz Doors door have a unique unequalled 48mm thick cross bonded, veneered and laminated solid timber core, the door delivers strength and dimensional stability that simply cannot be beaten.